At the end of the 2017-18 season, Arsene Wenger left Arsenal and along with that left behind his 22-year-old legacy having several ups and downs throughout his tenure. The new manager appointed by Arsenal was ex-PSG manager Unai Emery. 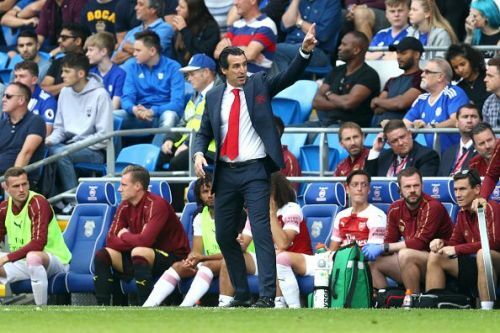 Emery has already tasted success with Sevilla winning three consecutive Europa league titles and also winning the Ligue 1 and 4 domestic cups with PSG in France. The Arsenal board gave clear indications that it was Emery's attention to detail of the current Arsenal players that convinced them to hand him the job over the other contenders. But in the current season, having already suffered 2 losses to Chelsea and Manchester City and accrued two victories over West Ham and Cardiff, it's clear that Arsenal still need a few changes. The current first-choice goalkeeper is the 36-year-old Petr Cech and is clearly past his prime now. The fact that Cech is liable to make a mistake every other match has proven costly for Arsenal in the previous season as well. But the problem is not just in terms of goalkeeping, it is in terms of how Emery likes his teams to play- building up from the back. In this style of play, Petr Cech has proven to be a casualty. He is susceptible to weak passing and poor ball control as has already been demonstrated in the first few matches. 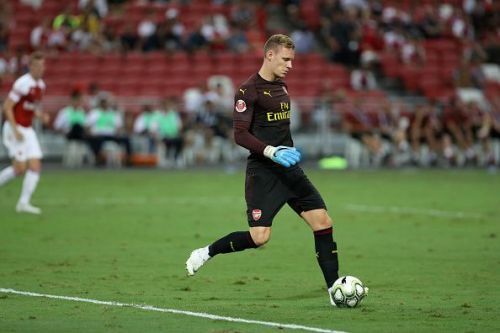 So, its better for the arrival from Bayer Leverkusen to get his due and he would be an upgrade both in terms of goalkeeping and ball possession.